Our Team | FitnessCenter aTB - Kiezflair inklusive ! Hello, I am Maciej. I am 33 years old and I started working here five years ago. German football (soccer) and boxing. Hello, I am Fred. 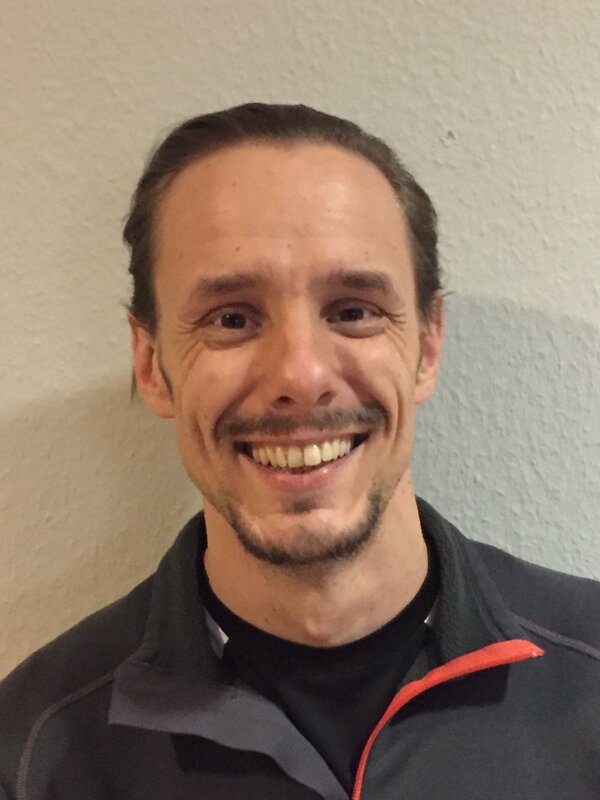 I am 29 years old, studying sports science for my Master degree at H:G Berlin and I work here at Fitnesscenter aTB. In the past years I made a lot of different experiences. In my opinion a sporty, vital appearance and an inner well-being is strongly connected. That is why I offer you an individual aligned training. Hey, I’m Kazik, 25, and born “Kreuzberger”. I have a Fitness Trainer B - License and I am a Personal Trainer. Moreover I gained a lot of experiences in fight, conditioning and prevention sports. Sports not only helped my body to get healthy and strong, but also made me discover my inner self better. That’s why my credo is: „Gnothi seauton” - “Know yourself”. Because this is humans greatest ability. Hey, my name is Daniel and I’m a member of the Fitnesscenter aTB team. As a multiple certificated fitness trainer, personal trainer and nutritionist I am supporting this studio. Your success and well-being is my top priority. Moreover I’m currently studying sports management as a dual course and I’m extracurricular educating myself further. Whether as a balance for your job, boosting your health or for shaping your body - I am gonna help you to reach your goals! Hello, my name is Lucia and I am from Rosario, Argentina. After several years of training in ballet and contemporary dance, I performed in Argentina and Germany. I have lived here in Germany since 2009, and I work as a freelane dancer and also as a dance and Pilates instructor. I teach Pilates Reformer and Matt Pilates. I have trained in Buenos Aires at TDP and in Berlin with BPL. I offer group lessons and personal lessons. The goal of my training is to enhance the body's consciousness and to also just become fitter every day! My training, depending on the interest and need, the ability to improve with influences from dance, yoga and Qi Gong, in conjunction with proper placement, body movement and awareness and to strengthen the body and mind. Hello, my name is Stephane Kamesh Seckin. After my Martials Arts career as 3-time European Champion in the Vietnamese Martial Art "Qwan Ki Do", I developed a deep relationship with Asian healing arts. From this I have gained expertise in TCM, Qi Gong and Thai Yoga Massage. For these reasons, I have made several study trips to China, Thailand, Sri Lanka and India since 1988 to study the fascinating ways of Martial Arts and healing works. Hello, I am Marco and for more than 10 years I have been a Martial Arts trainer at Fitnesscenter aTB. I offer fitness boxing and kickboxing courses. I am the reigning International German and 3x German-only Champion in kickboxing and a squad member in Germany's kickboxing national team. I am a full-time filmmaker and componist. Hey, I’m Max and 25 years old. Since young age I am very interested in sports. It all started with being part of a soccer club at the age of 4, in which I am still playing. Three years ago I successfully finished my degree of sports and fitness administrator at the Fitnesscenter aTB. I like to motivate people to be more active and to reach their goals. Hi, I am Anaïs, 16 years old and I am currently a high school student. At first I have done my internship at the Fitnesscenter aTB and now I am working here as a temp. In my freetime I do a lot of sporst like fitness, kickboxing or self-defence. My name is Sebastian. Through my injuries I had in my past, I disovered Yoga for myself. I learnt how the physical and emotional balance is key and how the body can heal itself. I expanded my knowledge in other areas like QiGong, Thai-Yoga-Massage and martial arts.